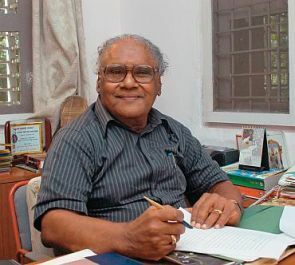 C.N.R Rao who is a famous scientist is chosen for the Von Hippel Award for his immense contribution in materials research. Von Hippel Award is the US-based Materials Research Society’s (MRS) highest honour. The award includes a cash prize, trophy and a diploma. He is an Indian chemist who has worked mainly in solid-state and structural chemistry. He is currently serving as the Head of the Scientific Advisory Council to the Prime Minister of India. The award is named after Arthur von Hippel (1898-2003), who was a pioneer in the study of dielectrics, semiconductors, ferromagnetics and ferroelectrics. He was an early advocate of the interdisciplinary approach to materials research, and his example substantially furthered the science of materials. The award recognizes those qualities most prized by materials scientists and engineers—brilliance and originality of intellect, combined with vision that transcends the boundaries of conventional scientific disciplines.